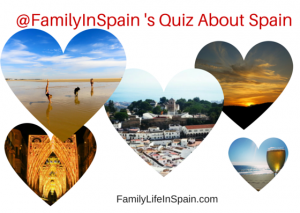 Are you thinking of moving to Spain or are you already living in Spain? Would you like us to save you time, money and headaches by helping you with Spanish paperwork issues ? How many times have you found yourselves going round in circles, pulling your hair out and wasting too much time reading about all the conflicting information on the world wide web? We have the solution for you. Have you seen our informative website www.movetomalagaspain.com ? Via CCB Spain, we keep you updated with changes in rules and regulations. You will avoid unnecessary fines and penalties that many people incur due to misinformation or ignorance. answer the most frequently asked questions on this matter. inform you whether you should apply for NIE or Residency. guide you through the NIE & Residency procedure. provide links to download the official paperwork. give step by step instructions to complete the application forms. inform you about giving up Spanish residency. it is 15 pages of information, enough to ensure you get it right first time! IMPORTANT: These documents are pdf downloadable files that you can read online and you can print off the relevant pages. We will not be publishing printed booklets as the rules and regulations change on a regular basis. This way you can be confident that you are receiving the most accurate and up to date information from us. 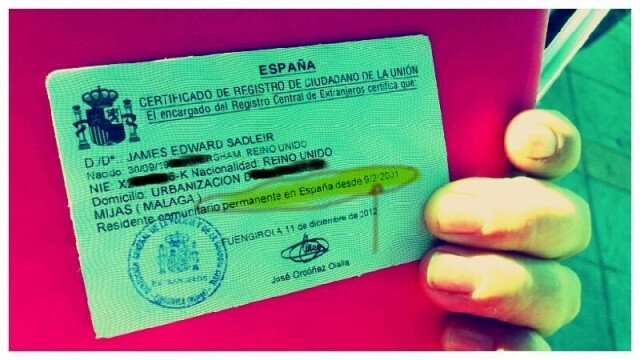 This is the first of many documents we will be publishing about Spanish Paperwork and procedures. Please help us to help you : What other topics would you like us to cover? 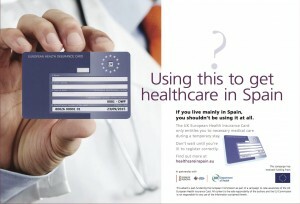 British citizens are being urged to understand how to correctly use their European Health Insurance Card in Spain. A campaign to explain how British citizens in Spain should use UK-issued European Health Insurance Cards (EHICs) has been launched by the UK Department of Health and the Valencia Health Authority. Spanish Bureaucracy: Pick a card, any card …. or maybe chance your luck and roll the dice … just hope that Lady Luck is on your side (or even better, sat at the desk that attends you). “The rules of any given game or sport are “theoretically” the same and are written in rule books. A good player keeps up with changes in tactics and ensures they have the required skills to ensure they are at the top of their game. However, it can be, and often is, argued the outcome of any game is greatly influenced by the referees interpretation of the given rules. I do not want to dwell on this subject matter too much longer as, if you haven’t already read the story so far, you can read it in the previous posts ¿Qué pasa España? , Rants and a Confession, and My Husband is an Illegal Immigrant. All I want to say is that today, having made a quick phone call yesterday morning, we walked into the immigration office, again, were attended promptly and efficiently and duly walked out holding my husband’s new residencia card (as in the image above). Had we been attended by this person a couple of months previously you would never have read this story. What did we do differently? I’m afraid I cannot put that in writing but if you are having troubles yourself, don’t hesitate to get in touch and I will be happy to give you some guidelines. As we said, the rules are the same for everybody, it is the player and the referee that influence the outcome! Warning! My Husband is an Illegal Immigrant in Spain! My husband has lived in Spain for over twenty years. We were married in Spain. Our two children were born in Spain. We have a house in Spain. We have a libro de familia. We are fiscal residents in Spain as we declare all our taxes in Spain. Today, we went to the INSS (a branch of the social security office in Spain), to renew a simple printed piece of paper that proves that he is covered by my monthly social security payments. I already hold this piece of paper, but like any other piece of paper in Spain, it is only valid for three months (renewing all these bits of paper keeps a lot of people in work I suppose! ), a more recent one is required to apply for his residency. The appointment was booked via telephone and we were even attended to before our time slot. Good start …. But that was as good as it got! I explained to the lady sat behind the desk that I needed a new print out of the piece of paper I had, to prove that my husband was covered by my social security contributions for his healthcare in Spain, in order for us to process his residency application. And her reply was …..
What ? My mouth drops open as I hear the very words that my mind had told me that I was going to hear but I had tried to convince myself that it wouldn’t really happen. Now, I need to pause even as I write this. Shock. Horror. Disbelief … She did not really say that did she? Yes she did. Even after I had thrown (according to hubby) the libro de familia, proof of last autonomo payment, passports, and whatever other excuse of a piece of paper I could find, across the desk at her … she patiently gave that look that said “I understand everything you are saying and yes it is ridiculous but that´s how it is now”! As I sat there flabbergasted and asking if I should send my husband back to the UK and what about the children and whatever silly comment I could think of (all the time knowing that it was futile, she was only doing her job and actually, we were in the wrong), she went off to consult with a superior. Not surprisingly, the reply was that there was nothing they could do. I could not have an updated piece of paper until my husband has a valid residency certificate. At this point, have a read of my first post on this subject ¿Que pasa España? What is the Spanish government playing at? Yes, this is a wonderful place to live for so many reasons, but if they continue to put up barriers to people who want to do things properly, the country will suffer in the long term. So what´s the next step? Well, in theory, we now have to take out a private medical insurance to enable my husband to apply for the new green residency certificate. Once he has the new certificate, we will make another appointment at the INSS to ensure he is registered as a dependent on my social security cover for healthcare. After that, well I cannot publish that information now can I? This video shows you what to do in the case of a lost passport in Spain. A second video from the British Embassy, Madrid consular team explaining how to go about getting an Emergency Travel Document if your passport is lost or stolen on holiday. We are often asked about a Spanish Bank Account number and what the codes are made up of, so here is a simple explanation of how to understand your Spanish bank account number. Whether you are already living in Spain or are moving to Spain, it is a good idea to understand the different bank codes you may need. Spanish bank account numbers are made up of 20 digits. 1234567890 is the 10 digit account number. Whenever you are asked for your bank account details in Spain, you should provide the full 20 digits. Plus 20 digits of the full account number. To BUY on Amazon.es Click Here! Registering the birth of a child is a relatively easy process provided you have all the correct paperwork. The only real pressure is the time factor and knowing how to register a birth in Spain. In this article, we will explain the steps you should take. Firstly, the birth of a child in Spain must be registered at your nearest Registro Civil (Civil register office), within eight days of the child´s birth. This time period can be extended thirty calendar days if there is a justified reason for the delay. However, it is better to stick to the time frame as a delay may lead to future problems with the Spanish authorities. Please remember that, registering a birth in Spain with the Spanish authorities is a mandatory not an optional procedure. If the parents of the child are married, either parent can register the birth. If not married then both parents must be present when registering the birth at the Registro Civil. Please be advised that the registration at the British Consulate in Spain, of the birth in Spain of a British national is not compulsory. However, the Consular Services section of the British Consulate General in Madrid does offer this service. 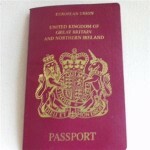 It is also important to know that it is not necessary to register the birth in Spain of a British national to be entitled to apply for a British passport for your child. By following these simple steps, you will now understand how to register a birth in Spain. If you have any further questions or would like to share your experiences with us, please Contact Us. EX15 NIE number … Why and How? What is an NIE number and who needs one? An NIE number is basically a “foreigner’s identification number” in Spain. An NIE number is required if you wish to carry out administrative procedures such as opening a bank account in Spain, contracting electricity in Spain, setting up a mobile phone contract in Spain etc. An NIE number is also required to work in Spain, take out private Spanish health insurance and apply for Spanish state health cover. The Decree (Real Decreto 338-1990) March 9th, establishes that anyone, of whatever nationality, resident or non resident, who has any “official business” in Spain, must have a fiscal number (NIF/NIE). At 8.30am numbers are handed out in order of your position in the queue. 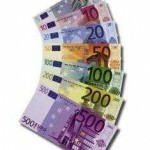 You are also given a form to be taken to a bank to pay the appropriate cost for the paperwork. The cost will be marked on the sheet for you. (NIE at present costs €10.50). There are a couple of banks within approx.500m of the police station. Go to a nearby bank. Pay the required costs and return to the queue. Be careful not to lose your place. The numbers are called out to pass through into the correct office. When your number is called to the desk, hand over the paperwork. If it is all correct, then your NIE will be issued in a matter of minutes. If you are uncertain whether you need an NIE Number or Residencia in Spain read this article. Moving to Spain? 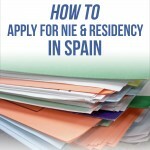 Get a free copy of our Guide How to Apply for NIE & Residency in Spain by signing up for our Hints & Tips for moving to Spain. When might you need to redirect mail in Spain? When you are renting in Spain, you often find yourself changing addresses a few times before you actually settle and decide to buy a property in Spain. This can lead to all kinds of problems when trying to receive mail (if you are actually lucky enough to receive it in the first place that is!). 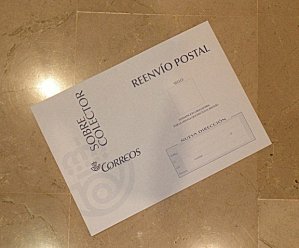 Go to your local post office (Oficina de Correos), you can use this link to find your nearest one http://www.correos.es/comun/oficinasbuzones/1030-inicial.asp and request a “Renvio Postal”. You will need to provide details of your old and new addresses and also ID (passport and/or NIE) for anybody who may receive the mail in their name. It is relatively simple to get a Social Security Number in Spain (Número de afilicaion a la seguridad social). First of all, locate your nearest social security office (Tesorería General de la Seguridad Social – TGSS), you can find a list of them here. *Remember that if you want to include beneficiaries, such as your spouse and/or children, you must also take copies and original of their documentation. *If you are going to register as Self Employed (Autonomo), you will also need to take your bank account details, to set up automatic payments each month. If you need any assistance, do not hesitate to contact CCB Spain here or contact us.